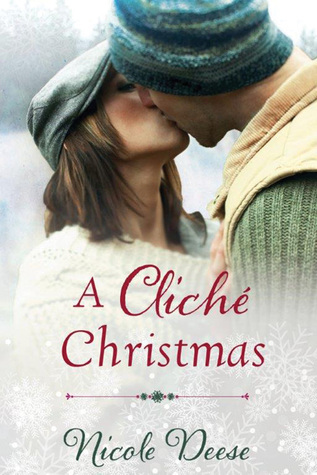 A Cliche Christmas (2014) by Nicole Deese is the first book in the Love in Lenox series. This book comes in all forms including eBook, and is 200 pages in length. With a full-time job and a very rambunctious and active five-year old, this novel took me less than 24 hours to devour! I checked this novel out through Kindle Unlimited to review. The opinions expressed in this review are my own. I give this story 5 STARS. A Cliche Christmas is a Contemporary Christian Romance. Georgia Cole—known in Hollywood as the “Holiday Goddess”—has made a name for herself writing heartwarming screenplays chock-full of Christmas cliches, but she has yet to experience the true magic of the season. So, when her eccentric grandmother volunteers her to direct a pageant at Georgia’s hometown community theater, she is less than thrilled. To make matters worse, she’ll be working alongside Weston James, her childhood crush and the one man she has tried desperately to forget. Now, facing memories of a lonely childhood and the humiliation of her last onstage performance, seven years earlier, Georgia is on the verge of a complete mistletoe meltdown. As Weston attempts to thaw the frozen walls around her heart, Georgia endeavors to let go of her fears and give love a second chance. If she does, will she finally believe that Christmas can be more than a cliche? I have to begin by giving a shout out to Courtney at The Green Mockingbird Blog. Last night I came across her review of A Christmas Cliche via my WordPress Reader. After reading Courtney’s review, I knew I had to get this book. Although I have heard a lot about Nicole Deese from many of my blogger friends, I have not yet had the pleasure of reading any of Ms. Deese’s works. After I post this review, I plan to immediately buy book 2 and 3 in this series. A Christmas Cliche was exactly the book I was looking for this winter break. I love many things about this book. I love how engaged I was throughout the entire read — I truly could not put it down. I love the main characters SO much. But, I most especially love that this story has real substance. Despite its title, there is very little that is cliche in this book. It is heartwarming, endearing, and sobering in several places. It made me rethink my childhood, the issues I’m dealing with this year, and my own Christmas traditions. I love when a book reaches into my heart like that! The main characters are Georgia and Weston. Georgia is a very determined young woman with several successes under her belt. She is a gifted screenplay writer, and has seen many of her stories come alive on screen thanks to the Hallmark Channel. This is where the title comes into play. Georgia is excellent as writing the cliched Christmas scripts yet has never lived them herself. Unlike the happily-ever-after families and couples she portrays in her movies, Georgia has never really had that in her own life. I wanted to hug Georgia many, many times throughout this book. Her childhood was a little rough. Because of this, Georgia has heavily fortified her heart against everything. She is pretty closed off at the start of this book. I don’t blame her one bit because she was doing what she needed to in order to protect herself from further hurts, but I definitely cheered as she thawed over the course of the story. When she gets her happily-ever-after ending, I teared up a little. Weston is the boy that Georgia has loved-hated since she first met him in grade school. He would pull her pig tales and play every kind of prank on her as they were growing up. Weston is exactly the breathtakingly handsome leading man that readers love, but he is more. He is a deeply caring, strong, kind man. He works hard. He chooses to do what is right. And, he trusts God. All of this adds up to one excellent leading man, but what really made Weston for me is his love and attention to his five-year old niece, Savannah. I think I may have fallen in love with his character. When it is explained how Savannah got her name, my heart melted hard! Fair warning — there were a couple moments between Weston and Savannah that had me a little teary-eyed. On a side note, which will serve a purpose — I promise, my heart is very fragile this Christmas. For those of you who know me, you know that my best friend is battling a very scary cancer. Watching her go through this battle has taken a true toll on my heart, and it has made me exceptionally sensitive. I cry at almost every turn, which is exceptionally frustrating to me because I am not a fan of crying. I am a bottler. I bottle it all up and erect brick walls around my heart. In that, I am a lot like Georgia! I am learning how to deal and grieve better, but with all the tears I’ve cried in the past 9 months I could probably fill two or three larges bathtubs. I only mention this because a very wonderful character in this book deals with cancer. I just wanted to make future readers aware of this in case they are in a sensitive place, too. Personally, I really appreciated the catharsis I experienced reading this book, but I know it may be too much right now for some readers. A Christmas Cliche is yet another book I could go on and on about. It is such a good read and a really beautiful story. I enjoyed reading this book so much, and I’m a little sad my time with Georgia and Weston is over! If you are looking for a lovely Christmas read to keep that Christmas spirit going, then I highly recommend A Christmas Cliche. You will not be disappointed with this book! Thank you for the shoutout!!!!! I’m super glad you loved this story, too! And, it’s a special thing when you can emotionally relate to a character or circumstances like this. Thank you for sharing your heart! Beautiful review. Thank you for sharing.